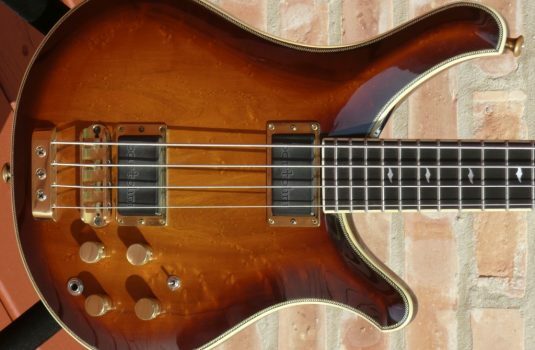 From English custom bass builder Chris May we offer a barely used finelined fretless 6, with 36″ scale neck, the Custom Progress Deluxe (2002 model). The top and back are birdseye maple, headstock matches, the body core is Walnut with purpleheart body veneers. Neck is maple and purpleheart, Fretlines are paduk. the combination of Walnut and Maple provide a warm tone with bite. 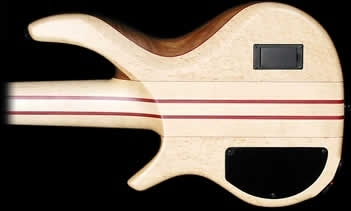 The neck is primarily Maple with Bubinga (?) 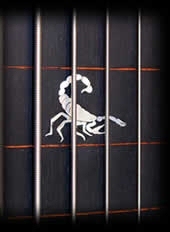 runners, the Ebony fretboard features fine red fretlines and a very cool Scorpion inlay (MOP) at the 12th fret. 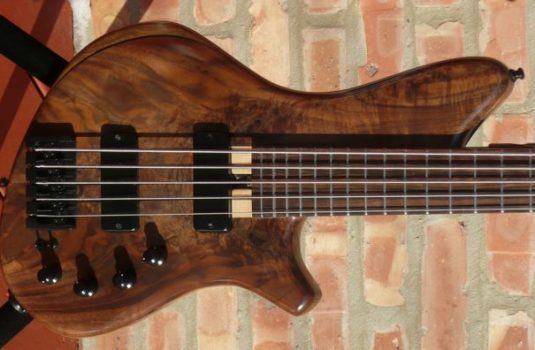 Overall, a worldclass custom bass in a rare configuration. 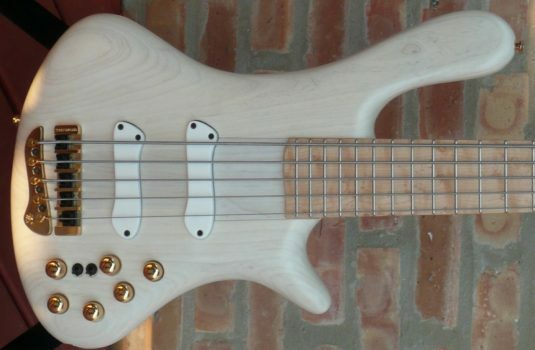 Is this bass for you ? 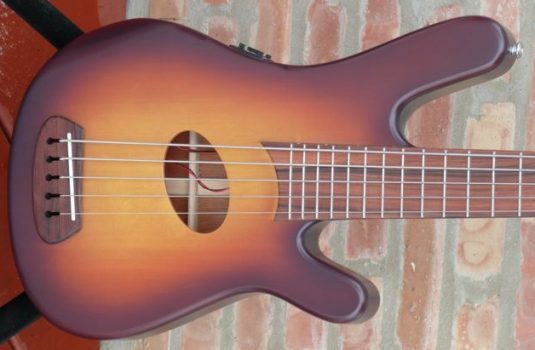 There is a review of this bass on OW by Musician magazine.